Richmond area Deals with Worst Flu Season in over a Decade! Like most of the rest of the country, many in the Richmond region have been hit hard by the flu – and the disease doesn’t seem quite ready to loosen its grip. Emergency departments across the region have seen a surge in volume as each state, except Hawaii, reports widespread flu activity, according to the Centers for Disease Control and Prevention. In the week ending Jan. 20 – the most recent available data – the CDC’s website says the number of people seeking care for an influenza-like illness was 6.6 percent, the highest recorded since the 2009 swine flu pandemic. 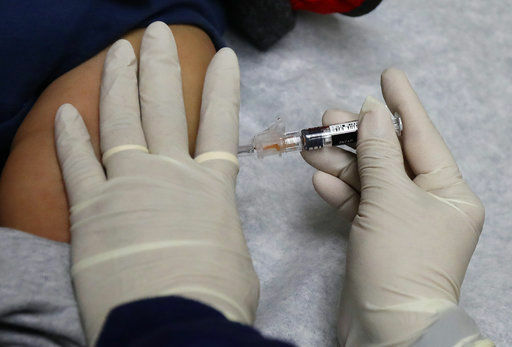 There have also been 37 flu-related pediatric deaths so far this season. “I don’t think we’ve seen the worst of it yet,” Dr. Marissa Levine, the state’s commissioner of health, told the General Assembly’s Senate Finance Committee’s Health and Human Resources subcommittee last week. The Virginia Department of Health has been reporting widespread flu activity – meaning at least three regions in the state are seeing high levels of flu – since December. Diane Woolard, VDH’s director of division of surveillance and investigations, said the department expects to see widespread flu activity for several more weeks. In central Virginia, a little more than 6 percent of the emergency department visits have been due to influenza-like illness, the term public health officials typically use because many patients aren’t necessarily tested for the flu itself unless they are hospitalized. That’s well above the 1 percent baseline. “All the indicators that we track show that flu is here and it’s effecting every region of the state,” Woolard said. She added that flu is always bad for the people who get it, though, and all flu seasons are serious because the flu can be a serious disease. The big difference this year is that the CDC is reporting that the dominant influenza strain, H3N3, typically increases the chances for complications like pneumonia, which can lead to hospitalizations and death. There have been nearly 12,000 flu-related hospitalizations nationwide since October, according to the CDC. While Virginia has reported widespread flu activity since December, it has really been the last two weeks that the emergency departments have seen a surge, area health systems largely agree. VCU Health has seen record volume numbers in its emergency department, said Robin Manke, director of communications and emergency management at VCU Medical Center in downtown Richmond. Both HCA Virginia and Bon Secours Richmond Health System have also been busy with people complaining of an influenza-like illness. Last week, the region’s hospitals implemented the Code Red protocol contained within the Old Dominion EMS Alliance’s Hospital Diversion Policy for 14 hours from Monday to Tuesday, under the direction of the Central Virginia Healthcare Coalition. The policy redirects patients from hospitals that are overwhelmed to others that can provide them with timely care, though ambulances can override the protocol depending on the severity of each case. It was the first time the protocol had been put in place since the 2009 swine flu pandemic, according to Andrew Slater, the coalition’s regional healthcare coordinator. One cause of the high flu numbers is likely that the vaccine is not quite as effective against this year’s predominant strain. But that doesn’t mean, public health officials stress, that people shouldn’t get the vaccine. In fact, it’s still the best way to protect against the flu. And because the season promises to rage on for a few more weeks, it’s not too late to get the vaccine, either.